Cute will be an understatement in the Stella McCartney Kids™ Camo Sport Swimsuit. Round neck, zip front one piece. 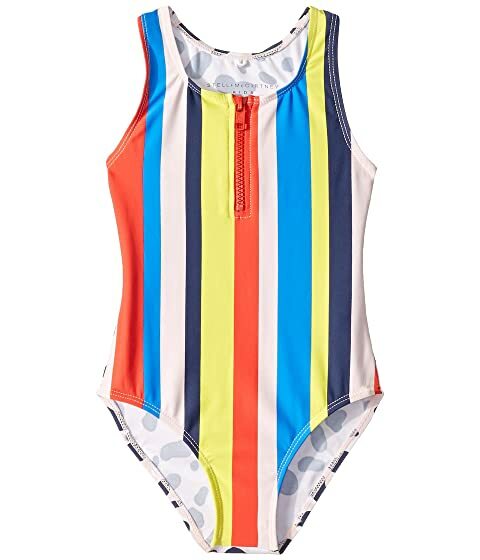 We can't currently find any similar items for the Camo Sport Swimsuit One-Piece (Toddler/Little Kids/Big Kids) by Stella McCartney Kids. Sorry!